I have a fond place in my heart for coffee shops truly meeting a need beyond the morning americano. 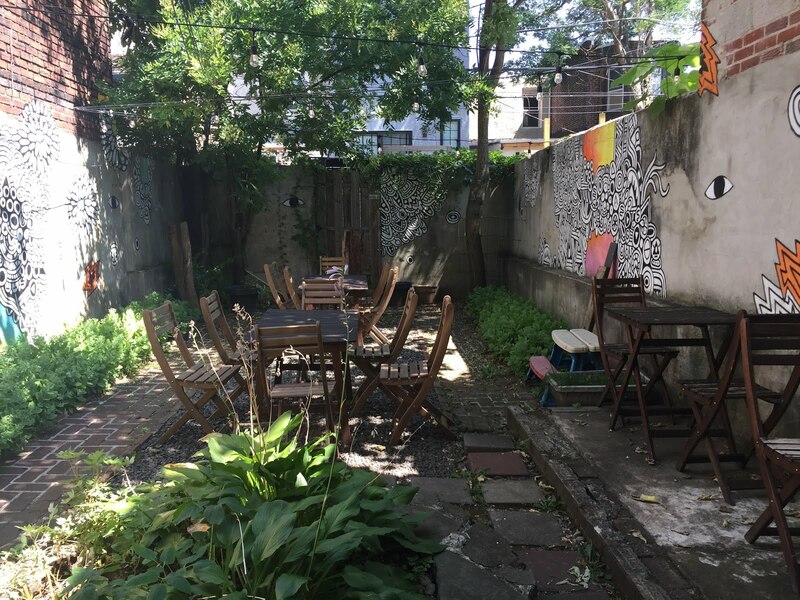 I've seen all different types of configurations and causes, but the first cafe I've visited that aims to help older foster youth is The Monkey and The Elephant in Philadelphia. 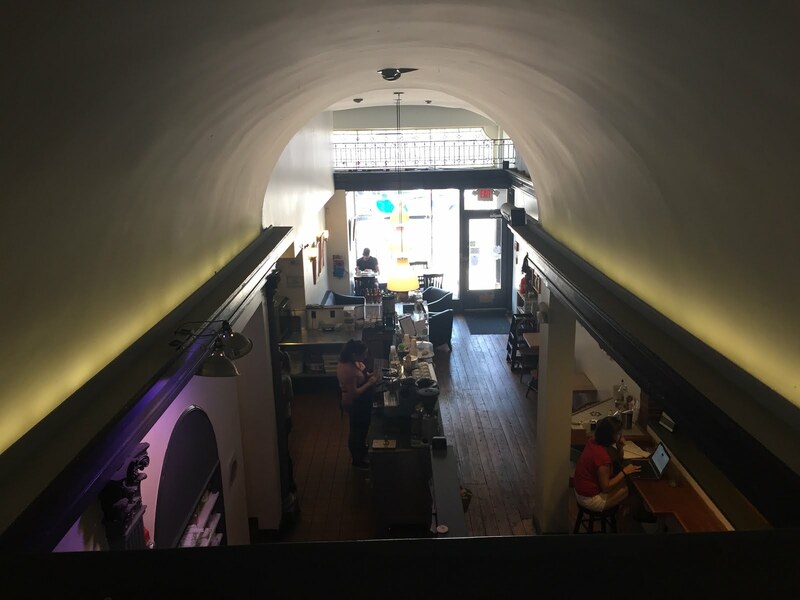 While the cafe is only able to employ so many folks at one time, they're making big strides in individual lives and serving good coffee while doing it. Located on Girard Avenue close to 28th Street, I made a stop one sunny day prior to a visit to Fairmount Park. The shop itself held a beautiful bilevel space, complete with a gorgeous back patio perfect for nice days. 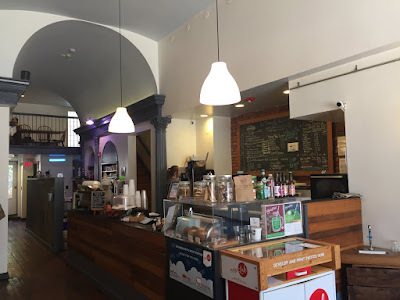 The coffee offered that day was Square One and Other Animal, but it should be mentioned that they also work with a number of other quality Philly area roasters. As for my order, I went with an espresso of SQ1's Thaddeus and a batch brew of a single origin Guatemalan from Other Animal. The espresso, pulled short/medium with brown crema, smacked of lemon, chocolate, black tea, capers, melon and orange swirl sherbert, making for a sweet, bright infusion. The drip coffee also proved favorable, with decadently sweet notes of condensed milk, apple, wheat, cherry soda, pistachio, a little cranberry and some iceberg lettuce. While I didn't get to spend too much time at the cafe, I found The Elephant and The Monkey to be a perfect pairing of good coffee and an excellent cause. 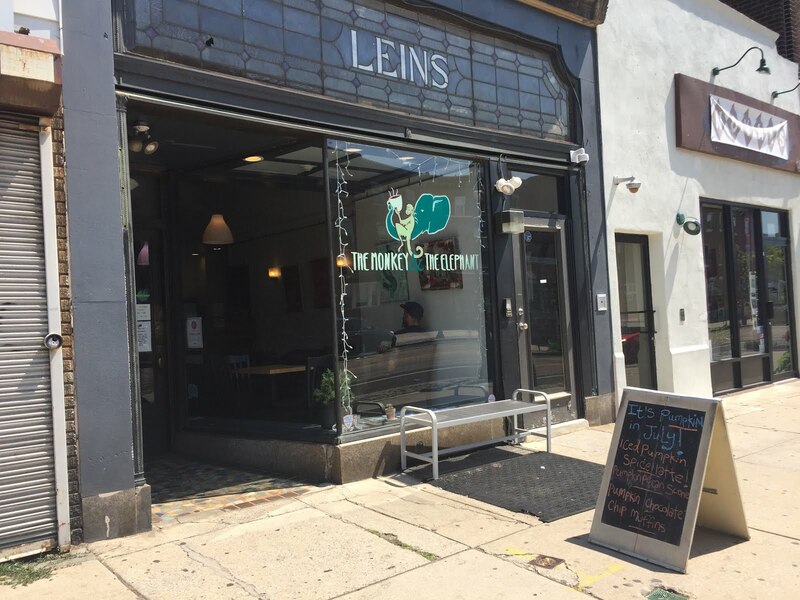 If the Philadelphia region is within a drivable proximity, definitely stop by for some coffee. Thanks so much for sharing this great review, we love discovering new coffee shops and this one looks amazing, the name is great too! It is encouraging to see more and more coffee shops partner with independent roasters like ourselves and really dedicate to quality in flavour and production.